The early 1930s were a period of major transition for most advanced air arms, especially in the fields of fighter design and construction, as the largely fabric-covered biplanes of the mixed-structure type that had predominated since the middle years of World War I began to give way to the largely metal-covered monoplanes of the light alloy type that reached definitive form in the middle of the decade as low-wing cantilever monoplanes with features such as an enclosed cockpit, trailing-edge flaps and retractable main landing gear units. Although the move to the ‘modern’ monoplane fighter was in fact quite rapid, there were still a number of interim types as aircraft designers, manufacturers and operators came to terms with the new concepts, and there was also a measure of resistance to the complete adoption of the new breed by air forces whose pilots thought that biplane agility was more important than monoplane performance, and by navies whose officers felt that the high take-off and landing speeds of the monoplane made such aircraft unsuitable for carrierborne operations. It was in this context that Curtiss began in the early part of 1932 to plan a new carrierborne fighter as its Model 70. 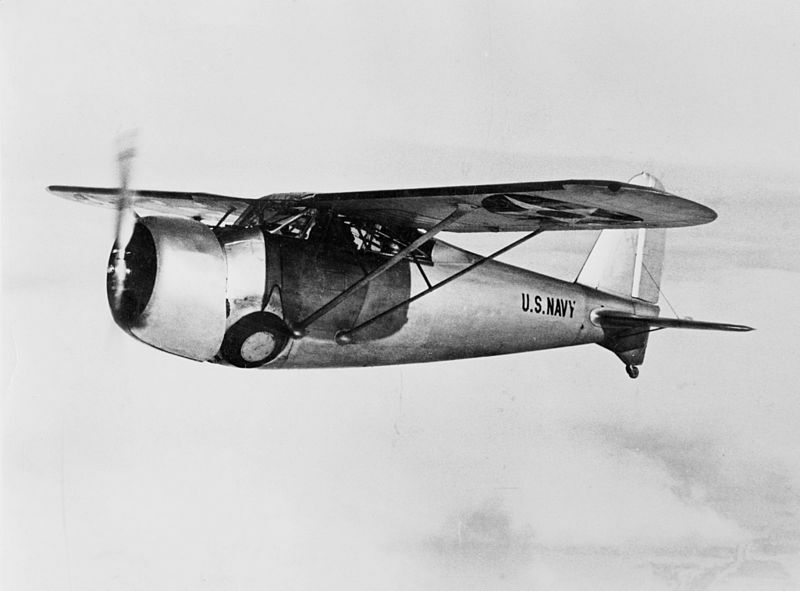 The initial work was undertaken as a private venture, and it was only in November 1932 that the US Navy contracted for the new type, which carried the service designation F13C respite the fact that the basic design was older than that of the F12C designed at a slightly later time as the Model 73. The key concept embodied in the design of the Model 70 was the provision of alternative wing sets and their fittings so that the aeroplane could be operated as a braced high-wing monoplane for maximum performance or alternatively as a sesquiplane whose slightly inferior overall performance would be offset by greater agility and reduced take-off and landing speeds. The aeroplane was also the first from Curtiss with retractable main landing gear units designed into the type from the beginning rather than added as an afterthought. The basic structure of the aeroplane was of light alloy with a covering of light alloy on the semi-monocoque fuselage, wing leading edges and fixed tail surfaces, and of fabric over the majority of the wing surfaces and the moving tail surfaces. The fuselage was of oval section and carried, from from front to rear, the powerplant, pilot’s enclosed cockpit with outward-angled side glazing and a heavily framed roof, and tail unit. This last comprised single horizontal and vertical surfaces, the former including a tailplane (braced on each side by a single strut to the tailwheel fairing) and horn-balanced elevators, and the latter a fin (braced on each side by a single strut) and a horn-balanced rudder. With the exception of its root sections, which were inversely tapered in thickness and chord, the wing was of constant thickness and chord to its rounded tips, carried automatic slats across virtually the full span of its leading edges, and had the full span of its trailing edges occupied by inboard plain flaps and outboard ailerons. The wing’s dihedralled halves extended from the upper edges of the cockpit, and were braced on each side by a pair of struts extending upward and outward from the lower longerons, and there were auxiliary struts connecting the midpoints of these struts to the roots of the upper wing. 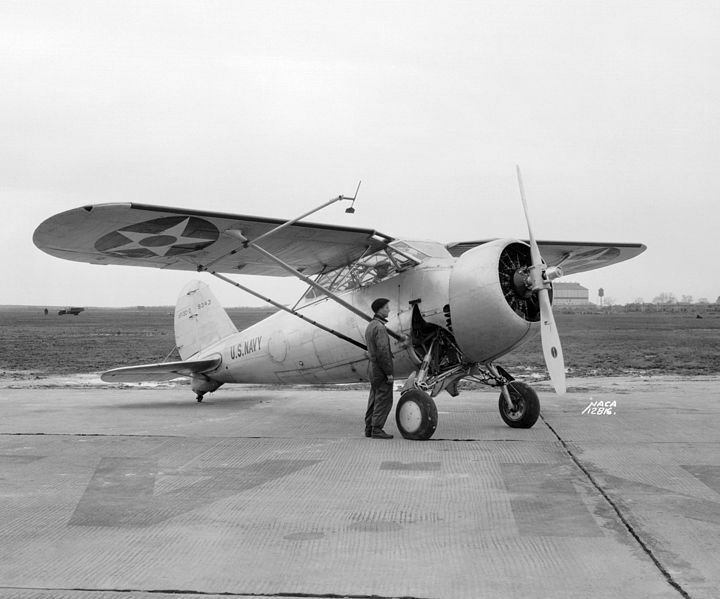 The airframe was completed by the landing gear, which was of the tailwheel type with single-wheel main units that could be manually retracted upward and inward into wells in the lower fuselage immediately ahead of the forward wing bracing struts. The powerplant was based on one Wright XR-1510-A2 Whirlwind 14 air-cooled 14-cylinder two-row radial engine rated at 600 hp (447.5 kW) at 10,000 ft (3050 m), although this was soon changed to one SGR-1510-12 unit rated at 700 hp (522 kW) at 7,000 ft (2135 m). The engine was installed in the front of the fuselage inside a long-chord cowling, and drove a two-blade metal propeller. The Model 70 in its XF13C-1 monoplane form was designed for an evaluation of the type in its higher-performance configuration for operation from land bases with their longer runways, but the aeroplane was in fact initially tested, from December 1933, in XF13C-2 sesquiplane form for evaluation of its capabilities in the proposed carrierborne layout with lower take-off and landing speeds (and therefore reduced runway requirement) through the addition of a small lower wing. The adaptation in fact required the replacement of the original upper wing with a unit of the same size and area but having no slats on its leading edges and fitted with full-span ailerons on its trailing edges, and the addition of a lower wing spanning 24 ft 3 in (7.39 m) with area of 77.40 sq ft (7.19 m²) for a total wing area of 281.70 sq ft (26.16 m²). The lower-wing halves extended from the attachment points otherwise used in the monoplane for the wing bracing struts, the upper and lower wings were separated on each side by a single N-type interplane strut that angled sharply outward from the lower wing, and the whole wing cellule was braced with the standard arrangement of flying and landing wires. As a result of the omission of the substantial bracing struts and of the flap-actuation system, the XF13C-2 had an empty weight of 3,192 lb (1448 kg), which was 49 lb (22 kg) less than that of the XF13C-1, and the maximum take-off weight was also reduced, in this instance to 4,092 lb (1856 kg). The details of the XF13C-2’s performance included a maximum speed of 182.5 kt (210 mph; 338 km/h) at 10,000 ft (3040 m) and a service ceiling of 28,000 ft (9535 m), while the climb rate and range remained essentially unaltered. In overall terms, therefore, the XF13C-2 was slower than the XF13C-1 but had a higher ceiling, but more importantly its landing speed was reduced by only 3 kt (3.5 mph; 5.6 km/h) and its take-off run was just 113 ft (34.4 m) shorter. It was only after the initial evaluation of the aeroplane in its XF13C-2 sesquiplane form that it was tested in XF13C-1 monoplane form from 7 January 1934, and manufacturer’s trials continued to February 1934 before the aeroplane was delivered for official trials at Anacostia, Maryland. Complaints about the Model 70’s height relative to the hangar headroom available in the US Navy’s aircraft carriers finally led to the conversion of the sole aeroplane to XF13C-3 standard with a lower vertical tail surface including a rudder given sufficient area by a rounded trailing edge. The details of the XF13C-3 were basically similar to those of the XF13C-1 except for a length of 25 ft 0 in (7.62 m), height of 8 ft 9.5 in (2.67 m), empty weight of 3,412 lb (1548 kg), maximum take-off weight of 4,634 lb (2102 kg), maximum speed of 213.5 kt (246 mph; 396 km/h) at 7,000 ft (2135 m), endurance of 5 hours 12 minutes, climb to 5,000 ft (1525 m) in 2 minutes 30 seconds, and service ceiling of 25,250 ft (7695 m). In overall terms the XF13C revealed an adequate combination of performance and handling, but criticism was raised about the pilot’s poor fields of vision as well as the original height of the aeroplane, and no productions plans were seriously entertained before the end of the XF13C programme in October 1935.